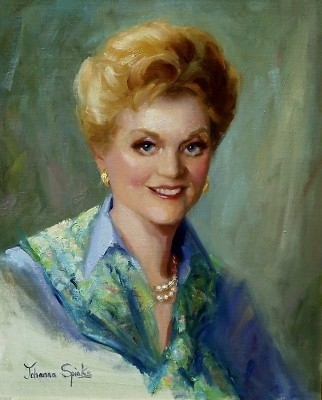 Angela Lansbury by Johanna Spinks. Permanent Collection of The Players Club, New York. This is a really pretty painting.